Mrs. Helen Glover 81, of Auburn, KY, died on July 18, 2018 at Signature Home Health of Bowling Green. Mrs. Glover was a native of Park City, KY and the daughter of the late George and Elizabeth "Lizzie" Hayden. She was a member of Richpond Baptist Church and a retired bookkeeper at BB&T Bank. In addition to her parents, she was preceded in death by her husband, Rev. James Glover, Sr; one daughter, Cynthia Ann Glover; sisters Marsha Huffman, Elizabeth Hayden; brothers Clarence, Roger, Richard, George Edward and William Howard Hayden. 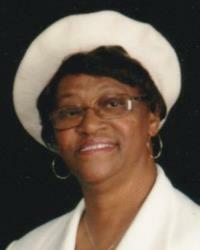 She is survived by three sons, James Glover, Jr. (Sheila), Kenneth Glover (Emma) and Timothy Glover (Janet); one daughter, Patricia Offutt (Craig); a sister, Geneva Amos and a special niece she helped raise, Tenita Whitney (Bruce); 9 grandchildren and 5 great grandchildren; in-laws, and a host of nieces, nephews, relatives and friends. Funeral service will be 1:00 pm on Saturday, July 21, 2018 at Owens Chapel Baptist Church in Cave City, KY. Burial will follow in Oddfellow Cemetery. Visitation will be from 11:00 am to 1:00 pm on Saturday, July 21, 2018 at Owens Chapel Baptist Church. Hayes, Watts & Percell Funeral Home is in charge of arrangements. I am so sorry to hear about the loss of Mrs. Glover and you have my deepest sympathy. I will miss her sweet spirit I just want you to know that I will keep you all in my prayers. May GOD blessing rain upon the family at this time. You have my deepest Sympathy!! Much love! To the all the family of Helen. iwas known tho Helen years ago as Libby Lewis and I have fond memory of Helen from our days together at Hopewell in Glasgow. I extend my condolences and prayers as you walk through the shadows of Death. God bless each of you. It is with great sadness that I am only now finding out about the passing your Mother, Mrs. Helen Glover. Family, I extend my sincere condolences to you. I also pray that you will remain steadfast in your faith and continue to trust in our Heavenly Father. God bless you.